Recently given an intermediate overhaul and repainted LNER Apple Green, the LNER A1 pacific 4-6-2 locomotive No. 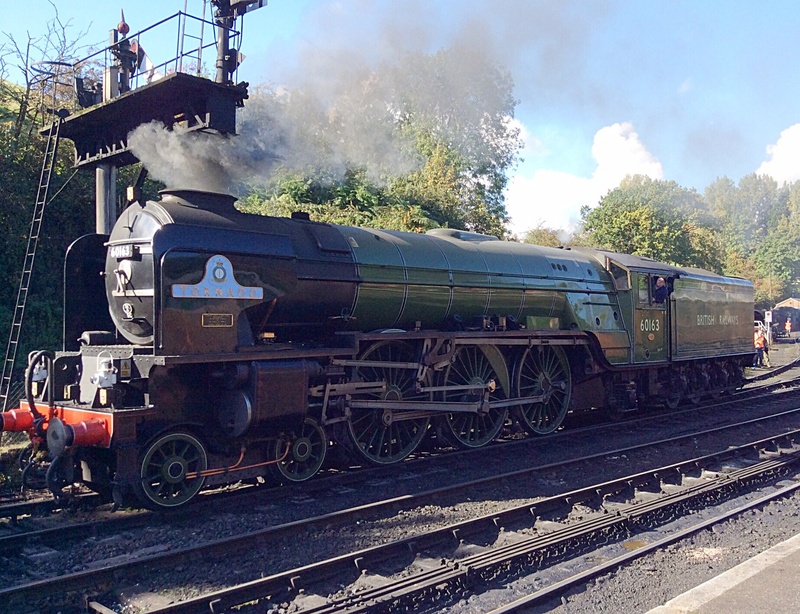 60163 Tornado has recently returned to the Severn Valley Railway during October 2015. 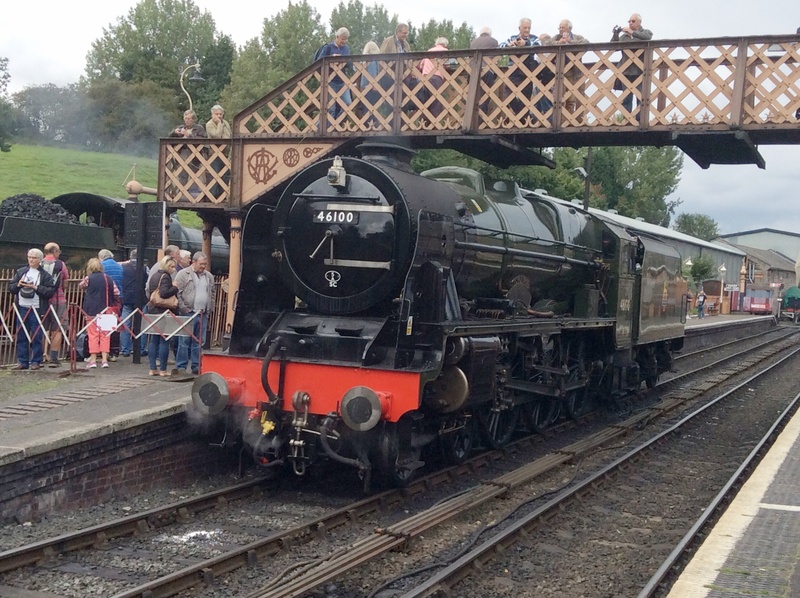 It is visiting for the first time in four years to help celebrate the Severn Valley Railway’s Golden Anniversary and will be staying until Tuesday 27 October. The Arthur Peppercorn designed A1 Pacific class 4-6-2 Locomotive “Tornado” was built by the A1 Steam Locomotive Trust in 2008 in Darlington to the original A1 design, with various modern technologies added in order to comply with modern safety standards. The last of the original ‘Peppercorn A1’ steam locomotives were scrapped in 1966, after the introduction of diesel engines on the UK’s main line, some after only 15 years in service. 60163 will haul public service trains on the weekends October 10 and 11, 17 and 18, and 24 and 25, With a Footplate Experiences on Thursday, October 22, and Friday, October 23, giving steam enthusiasts the chance to drive and fire this awesome locomotive. There was also a private Photographic Charter which ran on Friday 9 October. In addition The Recent Autumn Steam Gala visitor LMS Royal Scott class Pacific Locomotive 4-6-2 No. 46100 “Royal Scot” is also in steam on October 17th, 18th, 24th & 25th. Martin Kemp, the former musician with New Romantic band Spandau Ballet, Eastenders Actor and younger brother of Gary Kemp, was born 10th October 1961. formed in London in 1976 Spandau Ballet consisted of Gary Kemp and Steve Norman on guitar, later saxophone and percussion. They were joined by fellow student John Keeble and the three met regularly at lunchtimes to practise. Keeble was followed by bass player Michael Ellison. Tony Hadley, then joined as lead singer, Richard Miller replaced Michael Ellison on bass, before Kemp’s younger brother, Martin joined the band a couple of years later. The band wasoriginally called ‘The Makers’ in the early years, but changed their name after a friend of the band, saw the name ‘Spandau Ballet’ scrawled on the wall of a nightclub lavatory during a visit to Berlin. Spandau Ballet, began performing with this name and generating a positive buzz around London. Their music prior to then was in the style of the early Rolling Stones or The Kinks, but became more electronic as they began to hang out in clubs such as Billy’s and Blitz, where they would listen to bands like Kraftwerk and Telex. The Blitz was regarded as the New Romanticism.They released the first single “To Cut a Long Story Short”, just ten days after the band emerged from the studio in order to meet the huge demand created by the buzz they had established, “To Cut a Long Story Short” was an instant British top 5 hit in 1980. This was followed by hits with “The Freeze”, “Musclebound” and the well-received and Gold-certified album Journeys to Glory in 1981. The album had all the hallmarks of what would become known as the New Romantic sound and the sound of the early eighties.The follow-up album, Diamond, was released in 1982 and was certified Gold by the BPI and featured the funk-flavoured single “Chant No. 1″. The second single from Diamond was “Paint Me Down”, the third was, “She Loved Like Diamond”, Trevor Horn remixed the track “Instinction”, which was released as the fourth single from the album. With a slicker, more pop sound, the band released their third album True in March 1983. The album topped the charts all around the world, and launched several international hit singles, such as Gold and the title track which reached number 1 in several countries. The follow-up album, Parade, was released in June 1984 and the album’s opening song was, “Only When You Leave”. At the end of 1984, the band performed on the Band Aid charity single and in 1985 they performed at Wembley Stadium as part of Live Aid, Spandau Ballet also released the compilation, The Singles Collection, which kept the focus on the band between two studio albums and celebrated their five years of success. The band split acrimoniously in 1990, and Martin Kemp went on to land an acting role in the UK soap opera EastEnders, while Tony Hadley tried to establish a solo career. Gary Kemp did a little more acting, appearing in a supporting role in the Whitney Houston hit The Bodyguard, and in 1995 he released his only solo album, Little Bruises. Both Kemp brothers also appeared in the film “The Krays”. In 2009, The band began a worldwide Comeback tour starting with eight dates across Ireland and the UK, the first of which was in Dublin on 13 October 2009 and gave their “first public performance and interview anywhere in the world for 19 years” on Jonathan Ross’s BBC television show Friday Night with Jonathan Ross on 24 April 2009. The group released both their new album Once More, which featured two new songs plus reworked versions of their previous material, and the single of the same name on 19 October 2009. Virgin Media awarded Spandau Ballet as the Best Comeback of 2009 in their Virgin Media Awards. Semi-retired Formula One motorsport commentator and journalist Murray Walker, OBE was born 10th October 1923. For most of his Formula One Commentating career he worked for the BBC, but when it lost the contract for F1 coverage to the company ITV, Walker continued his commentating after the change of broadcaster.He has a distinctive, enthusiastic commentary style. Since 1978, British television commentary of the Formula 1 seasons has been used by other broadcasters right around the world, including Australia and Japan. He was an exponent of the commentator’s curse, noting in an interview that he might say how well a driver was racing or that they would probably win the race, only to have them retire or crash out of the race shortly thereafter, hence his catchphrase “…Unless I’m very much mistaken…” which might lead shortly after to a correction “…And I am very much mistaken…” to introduce the correction of the foregoing comment if it turned out in the event to be incorrect. He is known for his gentlemanly and considerate conduct, seeing the best in drivers who had attracted controversy. He rarely criticised drivers and preferred to give the benefit of the doubt in attributing blame for incidents. 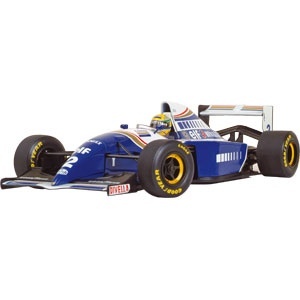 One example of this was during the 1994 Australian Grand Prix where, following the controversial crash between Michael Schumacher and Walker’s close friend Damon Hill which decided the World Drivers’ Championship in the German’s favor, Walker, unlike his fellow commentators at the time, most notably former 500cc Motorcycle World Champion Barry Sheene, declined to blame Schumacher outright for the crash. And Michael Schumacher is actually in a very good position. He is in last place. “There is nothing wrong with the car except that it is on fire. Murrary: “What’s that? There’s a BODY on the track!!! -James: “Um, I think that that is a piece of BODY-WORK, from someone’s car. Murray (To Damon Hill)): When did you realise that you had a puncture, Damon? “Frentzen is taking, er…, reducing that gap between himself and Frentzen. “Jenson Button is in the top ten, in eleventh position. American actor, director, writerand producer George Orson Welles sadly passed away on 10th October 1985. Born May 6, 1915 in Kenosha, Wisconsin. Welles worked extensively in theatre, radio and film and is best remembered for his innovative work in all three media, most notably Caesar (1937), a groundbreaking Broadway adaption of Julius Caesar and the debut of the Mercury Theatre; The War of the Worlds (1938), the most famous broadcast in the history of radio; and Citizen Kane (1941), which many critics and scholars name as the best film of all time. Welles directed a number of high-profile theatrical productions in his early twenties, including an innovative adaptation of Macbeth and The Cradle Will Rock. Orson Welles found national and international fame as the director and narrator of a 1938 radio adaptation of H. G. Wells’ novel The War of the Worlds performed for the radio drama anthology series Mercury Theatre on the Air. It was reported to have caused widespread panic when listeners thought that an invasion by extraterrestrial beings was occurring, and although these reports of panic were mostly false and overstated, they rocketed Welles to instant notoriety. His first film was Citizen Kane (1941), which he wrote, produced, directed, and starred in as Charles Foster Kane. It is often considered the greatest film ever made. Welles went on to directed thirteen critically acclaimed films in his career, including The Magnificent Ambersons, Journey into Fear, It’s All True, The Stranger, The Lady From Shanghai, Macbeth, The Third Man, Othello, Mr Arkadin, The Trial and Touch of Evil.He was reknowned for His distinctive directorial style, which featured layered and nonlinear narrative forms, innovative uses of lighting such as chiaroscuro, unusual camera angles, sound techniques borrowed from radio, deep focus shots, and long takes. He has been praised as a major creative force and as “the ultimate auteur.” Sadly On October 10, 1985, Welles died of a heart attack at his home in the Hollywood area of Los Angeles, California, and was found slumped over his typewriter, working on a new film script. Well known for his baritone voice, Welles was also a well regarded actor who won many wards. These other Welles films were nominagted for their list: The Magnificent Ambersons (1942, director/producer/screenwriter); The Third Man (1949, actor); Touch of Evil (1958, actor/director/screenwriter); and A Man for All Seasons (1966, actor). Citizen Kane was also nominated for numerous prizes at the 1941 Academy Awards, including Best Picture, Best Director and Best Actor in a Leading Role. The only Oscar won, however, was Best Original Screenplay, which Welles shared with Herman J. Mankiewicz. The Magnificent Ambersons was nominated for four 1942 Academy Awards, including Best Picture. The Stranger was nominated for the Golden Lion at the Venice Film Festival in 1947. Othello won the Palme d’Or at the 1952 Cannes Film Festival. In 1968 Welles was nominated for Best Foreign Actor in a Leading Role at the 21st British Academy Film Awards for his performance in Chimes at Midnight. Welles was given the first Career Golden Lion award in the Venice Film Festival in 1970, during the same year Welles was given an Academy Honorary Award for “superlative and distinguished service in the making of motion pictures. He was also awarded the French Légion d’honneur, the highest civilian decoration in France. He also recieved the American Film Institute Lifetime Achievement Award in 1975, and In 1978, Welles was presented with the Los Angeles Film Critics Association Career Achievement Award. In 1979, Welles was inducted into the National Radio Hall of Fame. In 1982, Welles was nominated for Best Supporting Actor in a Motion Picture at the Golden Globe Awards for his role in Butterfly, and won a Grammy Award for Best Spoken Word Recording for his role on Donovan’s Brain.Welles was awarded a Fellowship of the British Film Institute in 1983 and In 1984, Welles was given the Directors Guild of America Lifetime Achievement Award. In 1999, the American Film Institute ranked Welles as the 16th Greatest Male Star of All Time. When asked to describe Welles’s influence, Jean-Luc Godard remarked: “Everyone will always owe him everything.” Welles was also voted the greatest film director of all time in two separate British Film Institute polls among directors and critics, and a wide survey of critical consensus, best-of lists, and historical retrospectives calls him the most acclaimed director of all time. He was also voted number 16 in American Film Industry’s 100 Years… 100 Stars list of the greatest American film actors of all time. The band originally began playing cover material, ranging from pop to disco, before settling on original material .The band went on to further success, and by the early 1980s they were one of the most successful rock acts of the time. 1984 was their most successful album. The lead single, “Jump”, became an international hit and their only single to reach number one on the Billboard Hot 100. The following singles, “Panama” and “I’ll Wait”, both hit number 13 on the US charts. The album went on to sell over 12 million copies in the US alone. In 1985, the band replaced lead singer David Lee Roth with ex-Montrose lead vocalist Sammy Hagar. With Hagar, the group would release four US number-one albums over the course of 11 years. Hagar left the band in 1996 shortly before the release of the band’s first greatest hits collection, Best Of – Volume I. Former Extreme frontman Gary Cherone was quickly recruited as lead singer to replace Hagar, and Van Halen III was released in 1998. Cherone left the band in frustration in 1999 after the tour due to the poor commercial performance of the album. Van Halen went on hiatus until 2003 when they reunited with Hagar for a worldwide tour. The reunited band released a second greatest hits collection the following year, The Best of Both Worlds. Like Volume I before it, The Best of Both Worlds included material from both the Roth and Hagar eras but omitted any Cherone era tracks. The album featured three brand new tracks recorded by the reunited band, two of which were released as singles. Hagar again left Van Halen in 2005 and in 2006, Roth returned as lead vocalist for their highest-grossing tour, and one of the highest-grossing tours of that year. Anthony was not invited to participate in the tour and was essentially fired from the band, replaced by Wolfgang Van Halen, Eddie’s son. In 2012, the band released the commercially and critically successful, A Different Kind of Truth, with Roth as lead vocalist. According to the RIAA, Van Halen is the 19th-best-selling band/artist in United States history, selling 56 million albums in the U.S.They were also revealed at number 4 on the Billboard’s top money makers list in 2013. Van Halen are one of only five rock bands that have had two studio albums sell more than 10 million copies in the U.S. Additionally, Van Halen charted the most number-one hits in the history of Billboard’s Mainstream Rock chart and they are one of the world’s best-selling bands of all time, having sold more than 80 million records. Van Halen released a total of six albums with David Lee Roth on Vocals, However the band had trouble working together as a cohesive unit and in 1982 Eddie Van Halen approached Gene Simmons about possibly joining Kiss and replacing Ace Frehley. However Simmons & Alex persuaded Eddie to remain with Van Halen, and shortly afterwards the band released the album 1984; which yielded the band’s first Number 1 hit, “Jump“. Other singles released from the album also sold well, particularly “Hot for Teacher”. The album peaked at Number 2 on the Billboard charts. Roth left Van Halen and was replaced by former Montrose singer Sammy Hagar in July 1985, but went on to release the solo album “Skyscraper” in 1988 which features the songs Just Like Paradise Stand Up and Perfect timing. van Halen achieved worldwide fame for their many popular songs and larger-than-life stage performances; unfortunately, they also became known for the drama surrounding the departures of former members. Controversy surrounded the band following the exits of Roth, Hagar,and Anthony; this controversy often included numerous conflicting press statements between the former members and the band. In 2007, Van Halen was inducted into the Rock and Roll Hall of Fame. VH1 ranked them 7th on their list of the top 100 hard rock artists of all time.